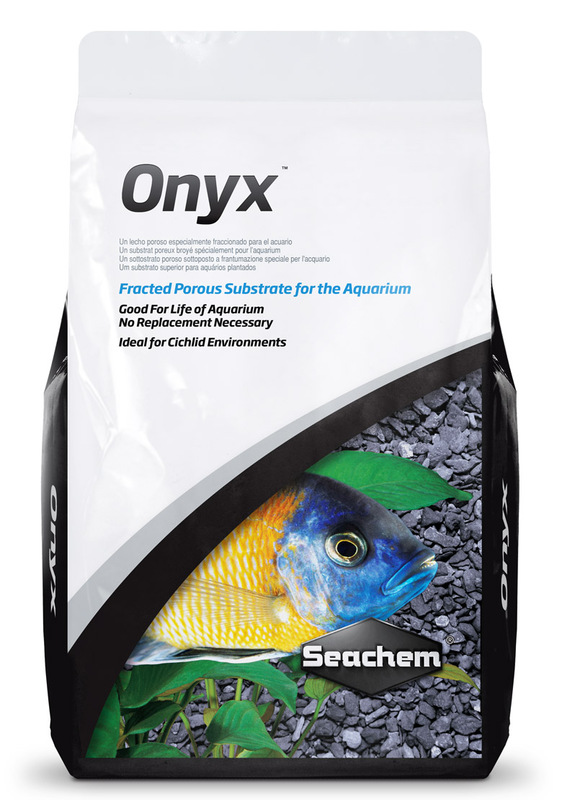 Onyx™ is a specially fracted natural substrate for the aquarium. 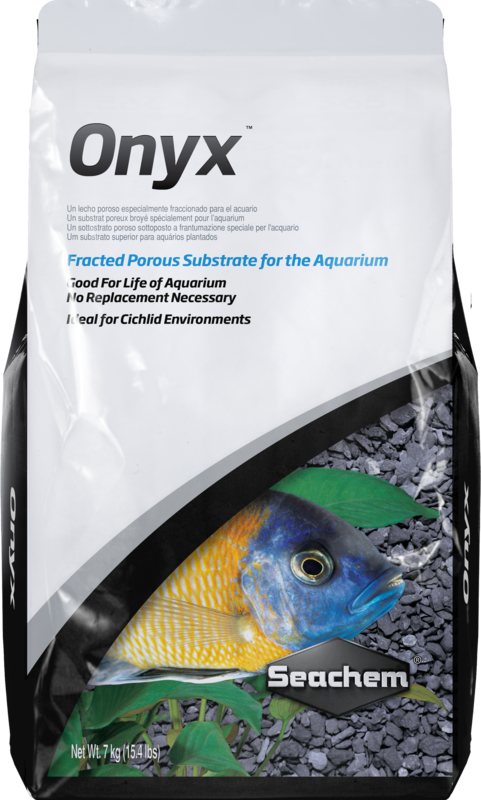 Onyx™ is suitable for any marine or freshwater environments and is ideally suited for Cichlid environments. Onyx™ is most effective when used alone as an integral substrate bed, but it may be mixed with other gravels or sands such as Onyx Sand™. 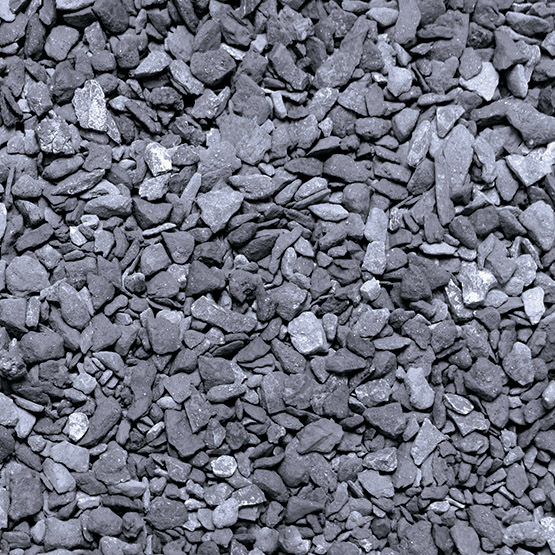 Onyx™ is not chemically coated or treated but does have a slight buffering capacity. To determine the number of bags required for your aquarium, please note that each bag (7 kg, 15.4 lbs) occupies a volume of approximately 7,000 cm3 (425 cu. in.). Although it is pre-washed, because Onyx™ is a natural product, it may become dusty in transit and require rinsing before use to remove any residual dust. TIPS: When adding water to aquarium, fill slowly to avoid disturbing Onyx™ bed. Place a bowl in the aquarium and add water directly to the bowl, allowing water to overflow softly on to the gravel bed. Initial cloudiness is normal. To remove cloudiness, use mechanical filtration (such as filter floss). Clarity™ clearing. Wondering how many bags you will need for your project? It's easy to figure out with this gravel calculator. Just enter the length and width of your aquarium along with the desired depth of the substrate and click calculate. Note: The calculator will always round up. For example, you can't purchase 1.3 bags, so it will return 2 bags. There are no questions for Onyx™. Ask us a new question.